Bobby's entry is a very powerful masculine design, with clean lines and industrial images using gears and rivets. 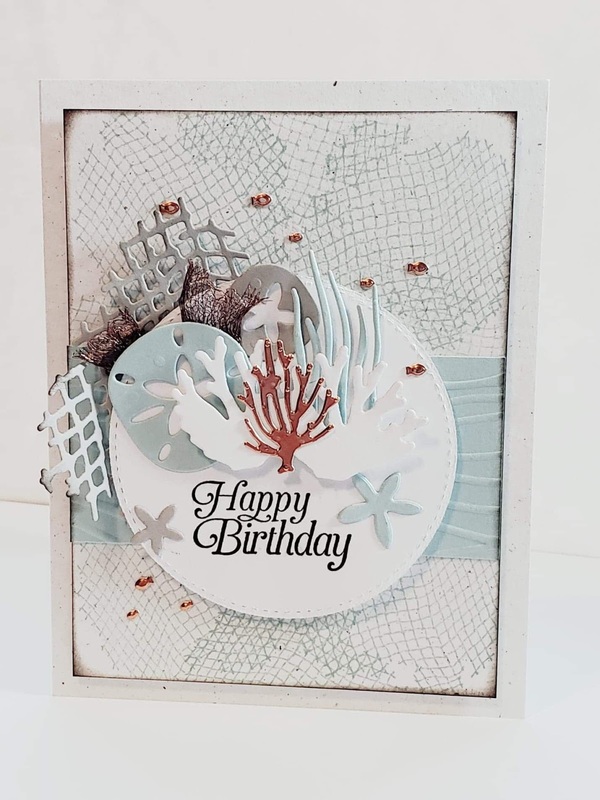 Her vertical die cut sentiment was skillfully embossed using platinum embossing powder and placed perfectly for a very balanced and eye-pleasing effect! Gail's card is a layered masterpiece, keeping your eyes engaged for long minutes at a time. The copper elements just pop against the soft coloured background and don't you just adore those tiny copper fish? 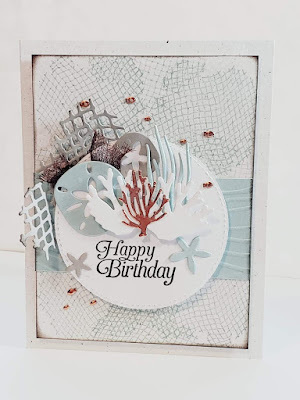 As for the coral, sand dollars and sea stars, they almost look metallic, because of their covering with clear embossing that gives them an extra gleam for the camera! Just WOW!! Congratulations to our winners and thanks to everyone who played along! 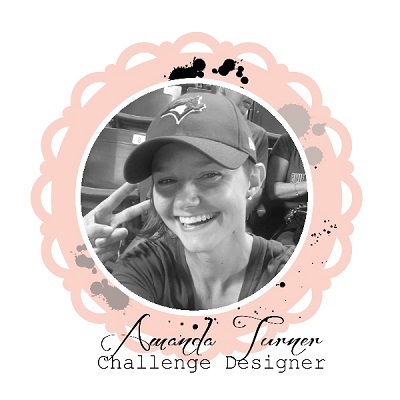 I hope you'll come back and check out our new assortment challenge tomorrow! Our winners can pick up their badges on this page and display them with pride on their blogs or sites.